Thank you for your valued enquiry about our Residential Lettings Service. 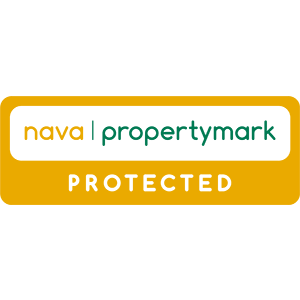 Our aim is to offer a professional Lettings service to clients in the area, with the emphasis on personal service. Attend your property, advise on rent, furnishing and other related matters. General information of services provided and supply of guidance notes for further information. Advertise on several Property web sites. Take up references from the Bank, Employer, Landlord and also a Personal reference. Notify services of change in Tenancy. Set up Standing Order for collection of rent, perform every other act usually performed by Letting or Managing Agents to all intents and purposes as the Landlord himself could do personally. The charge for this service will be based on the size and contents. If the Owner prefers to do their own inventory, a checking in and out fee will be charged accordingly. Once we have received your instructions, we will set about finding the right tenant for your property. Our aim is to establish the kind of tenant you are seeking (for instance, you might prefer a non-smoker, no young children or no pets) and to find that tenant for you. In situations in principle (subject to contract) between you and your potential tenant, Home Seakers begins a stringent enquiry on your behalf. This is usually completed within 7 /10 days but can often take less. Individuals will have to furnish satisfactory bank, employers and personal references. Corporate bodies must satisfy us about their viability by bank and accountants references. Inspection of property on the third month, also on check out/prior to extension of Agreement arranging and organising repairs when necessary. Return of Security Bond after inspection of the property (if possible we do like the landlord to view the property before we return the Security Bond which is normally returned 10 days after vacation. In Let Only properties the Landlord will be responsible for the check out unless a prior arrangement is made, the cost of a check out on a Let Only property is £45.00.